Wool and Wheel: A bit of knitting. I feel like all of my posts on the blog lately have been either book or film related. That's not a bad thing exactly, because books and movies are two of my favorite things. :) I just feel like it's been forever since I've had any sewing or knitting projects to share! I have been making things this month. And last month. I started sewing checkbook covers for the shop (plus some new wallets), knit my dad a pair of socks for his birthday, sewed myself another Renfrew t-shirt (which I will hopefully get pictures of soon), and sewed a skirt for someone else. 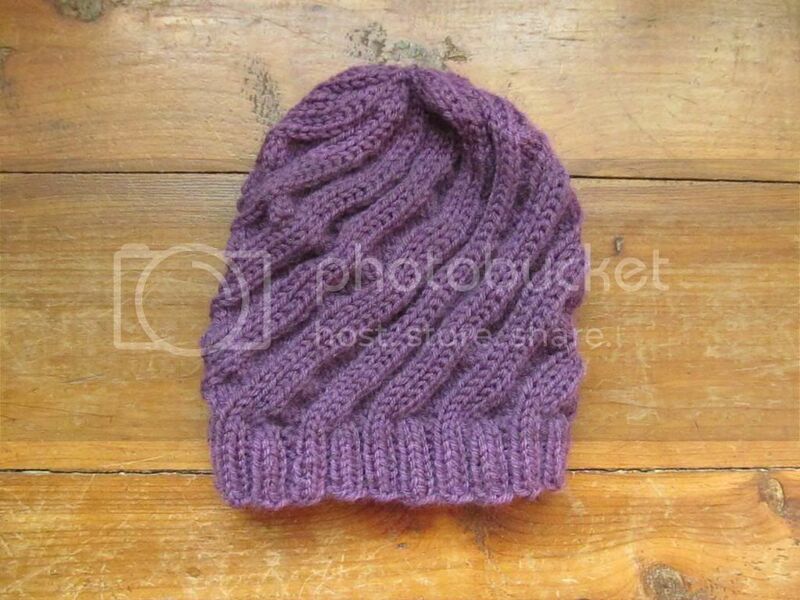 First up is a bonnet from this pattern. This was my first time knitting this pattern, but I'm really pleased with how it turned out! It does have a sweet, vintagey look, I think. 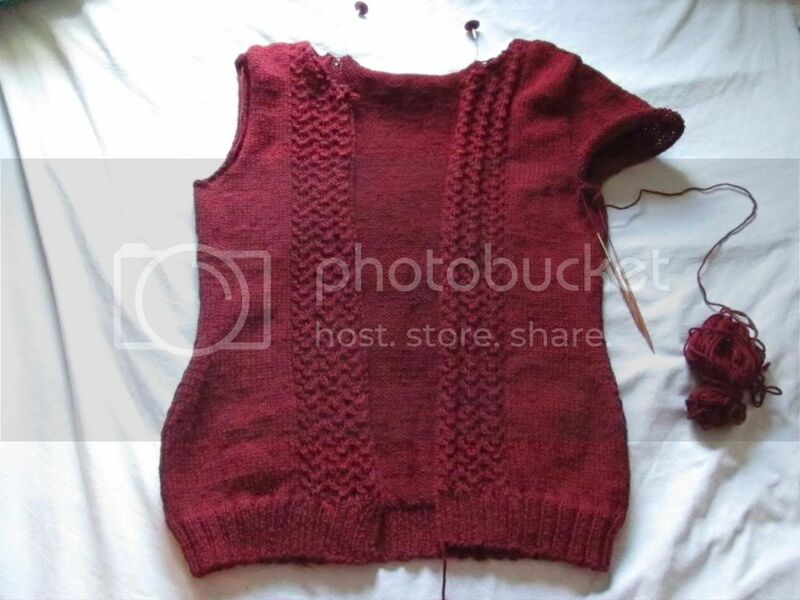 The only changes I made were to join in the round for the back, so I didn't have to seam it up (I hate seaming in knitting) and to attach an I-cord tie instead of the button band (I used this tutorial). After a lot of fiddling at first with the attached I-cord to figure out how to pick up stitches so it would look neat, it was pretty simple and I'm happy with how it turned out. 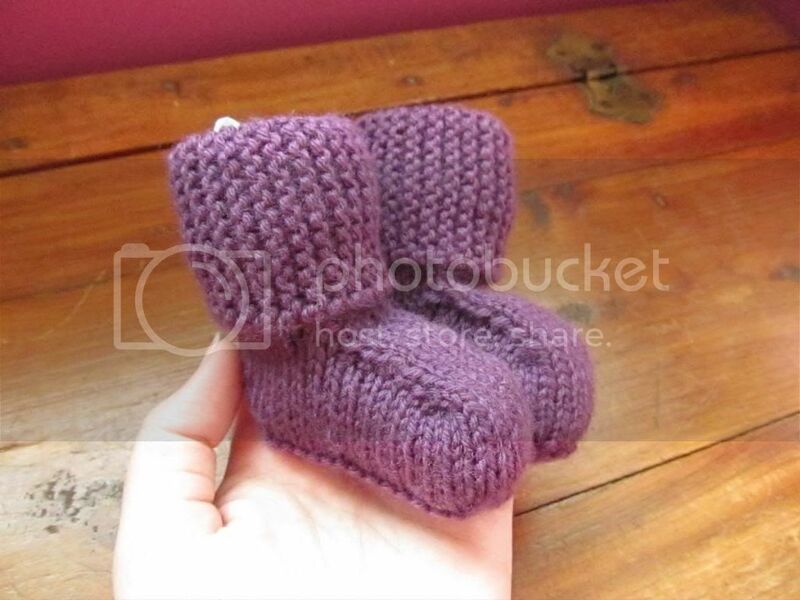 And now for my favorites...the little baby boots (or Baby Uggs, according to the pattern). 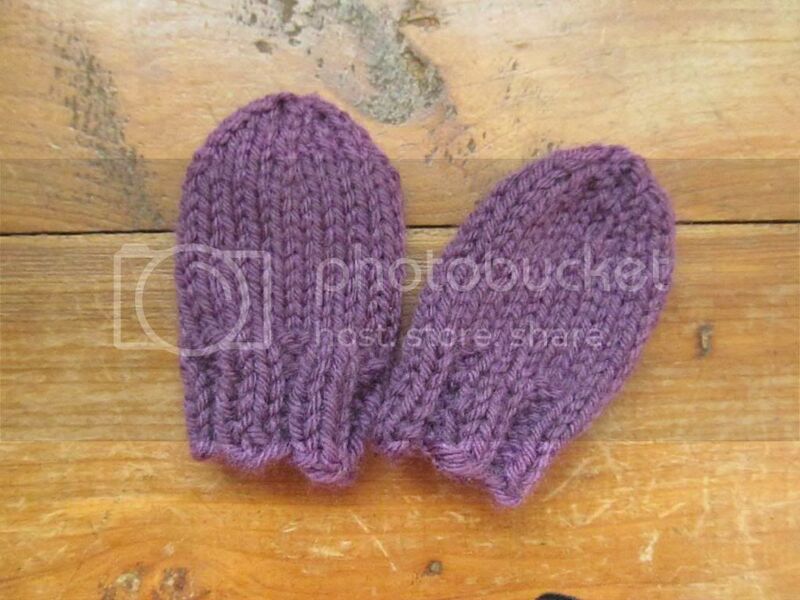 I've made two pairs of baby booties before, and they were little Mary Jane type ones. I wanted to try something new, and I absolutely fell in love with these little boots. *Exclusively except for a few evenings of spinning when I really just needed a break from this project. Beautiful! 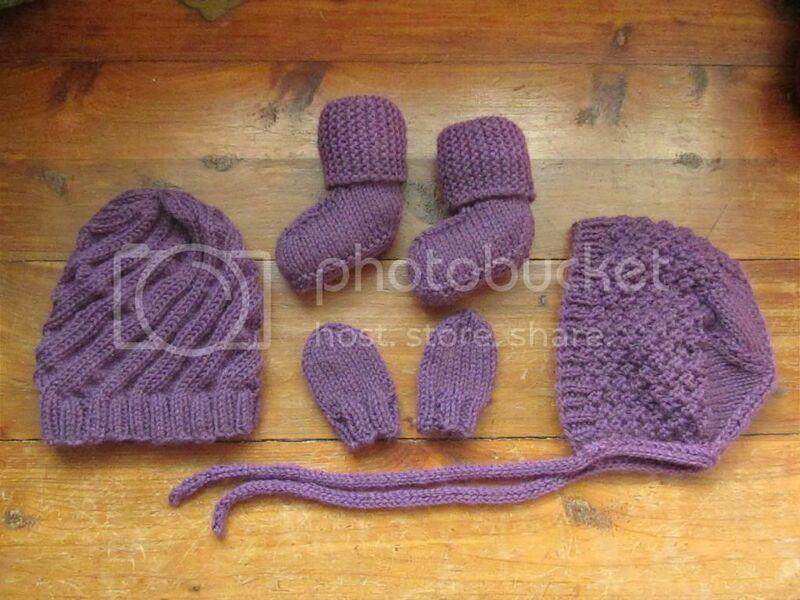 The baby ones are so sweet, and the sweater you are knitting is gorgeous (love the color!). Thank you so much for all of the knitted goodies! They make for quite an adorable little girl when they are all on! 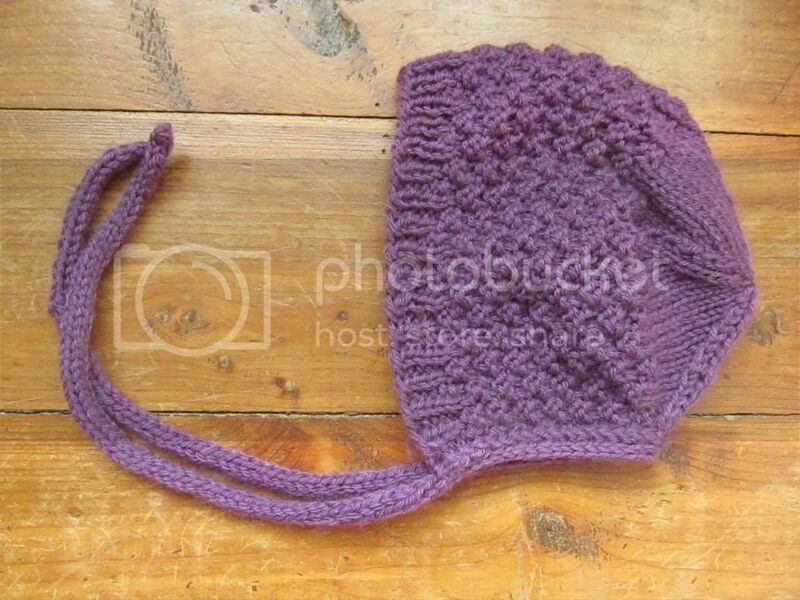 The bonnet is just perfect since its shape keeps it out of her eyes, and its ties keep it on despite her wiggling. The booties are wonderful as well. They keep her feet nice and toasty on our walks. Thank you, thank you, thank you!